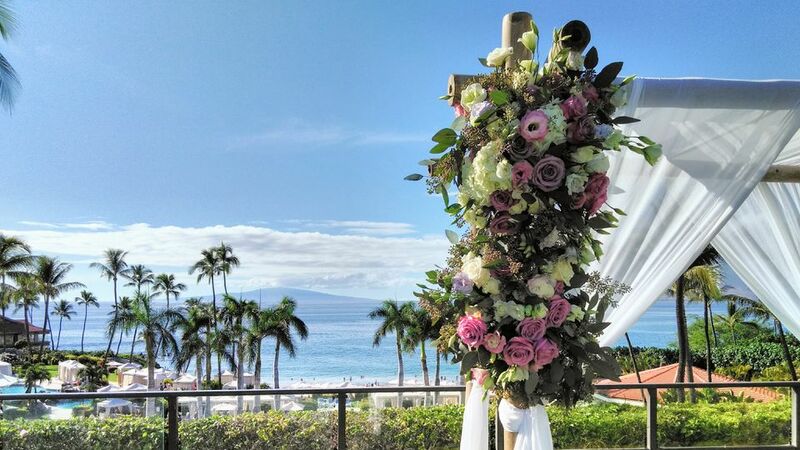 Hawaii is without a doubt a beautiful place to get married—and luckily, the paperwork required is pretty straightforward (and if you are marrying at a resort, the wedding planner there can help you set everything in motion). Whether you're planning to get married on Oahu, Maui, Kauai, the Big Island or Lana'i, here's what you'll need to do before you can say, "I do." Proof of age is required, such as a certified copy of a birth certificate, for anyone 18 years of age or under and a valid I.D., such as a passport or driver's license, for anyone 19 years of age or older. If you were previously married, you must present the original divorce decree or spouse's death certificate to the marriage agent if the divorce was finalized or if the death occurred within 30 days of the application for a marriage license. You must appear together before a marriage license agent in Hawaii to apply for a marriage license. The main location is the Health Department Building in Honolulu, on Oahu, but marriage agents are also located on Maui, Kauai, and the Big Island. You must provide the necessary proof of age and/or written consent forms, obtained and completed prior to applying for the marriage license. You must provide a completed application (downloadable online, see below). You must pay a marriage license fee in cash at the time of the application. When the application is approved, a marriage license will be issued on the spot. Good throughout the state of Hawaii, but only in Hawaii. Valid only for 30 days from (including the day of issuance), after which it becomes null and void. The Hawaii Tourism Authority offers detailed information on weddings in Hawaii and links to a government Web page on marriage licenses that also lists a phone number (not toll-free) for those who have additional questions.